With all the recent smurfs hub-bub, I was reminded of this gem of an album. Back in the 80s, I was pretty smurf obsessed. I had the figures, a smurf sleeping bag, and was a regular fan of the hanna-barbera cartoon series. At the time, like most Americans, I didn’t realize the smurfs were created back in the 1950’s as a Belgian comic by artist Peyo. When smurf fever was sweeping my childhood, lots of random European Smurf items unrelated to what I then considered “official” versions (aka the american cartoon characters and voices) appeared. The animated movie, “The Smurfs and the Magic Flute” is a good example of this (the black faced “jungle smurf” is a bad example of this). 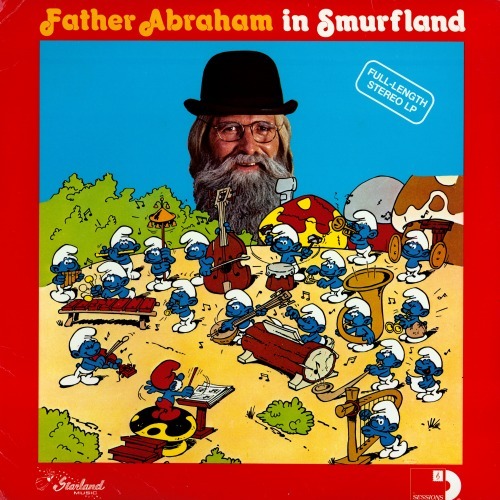 One version that creeped me out as a child was this record I had gotten as a gift, “Father Abraham in Smurfland”. I had no idea who this amish looking man was, or why his giant head was floating over smurf village. None of the voices did I know, where was jokey smurf? Why is Papa Smurf not voiced by Scooby Doo voice actor Don Messik? The songs to me were weird, including “Smurfing Beer” which I think I have to re-listen to the original version. Since I’ve been to Belgian and love the original comics now, I might have a different appreciation for this childhood nightmare. 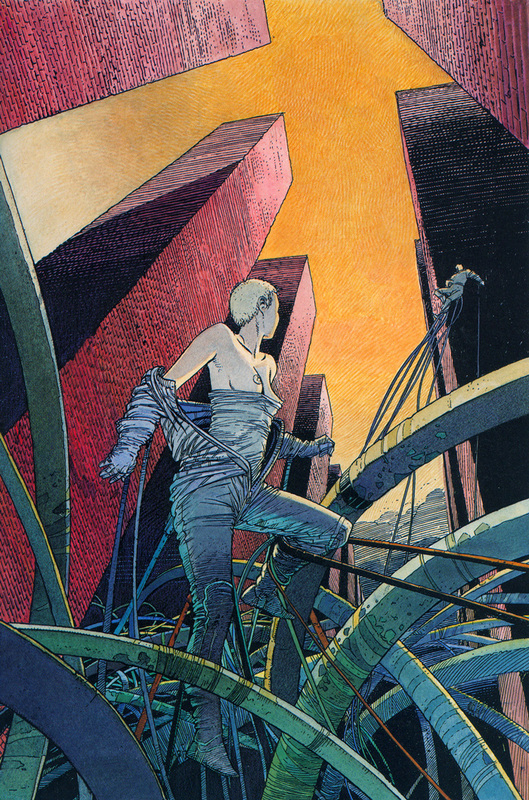 A couple of years back on a trip to Montreal, I was searching through a bookstore there and came across this amazingly beautiful comic book. I took 5 years of french, but even reading a Tin Tin comic is a bit hard for me, since they are written for above a 3rd grade level. However I bought the comic, not understanding 90% of it. But I wanted to know more. 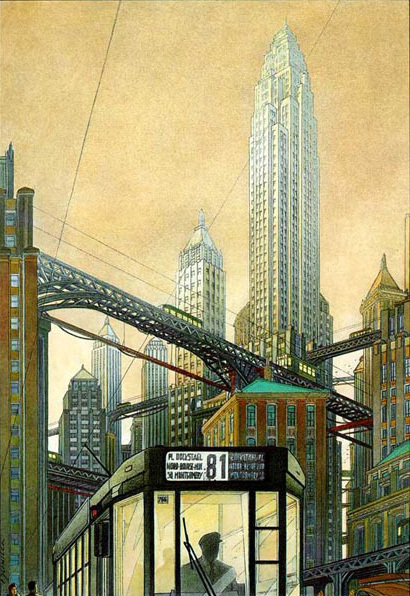 Over the years I’ve collected a few of these volumes from random french speaking areas (canada, france, belgium), which I found out were part of a series called “Les Cités Obscures” created by a Belgian artist named François Schuiten. By now I’ve been able to get the gist of the stores about a distant land and its collection of independent city states each with a unique style, but honestly a lot of the plots are still a mystery to me. I knew these weren’t very popular in the states, but recently I’ve found out only a couple of these hard bound comics have been reprinted in english, however I’ve stuck to picking up a french version every now and then, its makes it more of an adventure for me to translate it, and more time to admire the illustrations.